The Compulsive Reader: Interview with Lisa McMann! 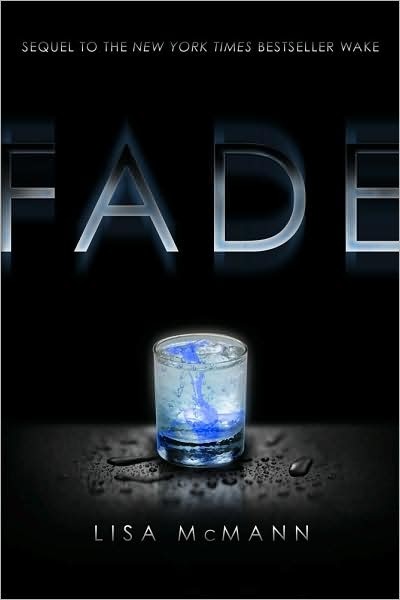 Lisa McMann is the author of the bestselling Wake and Fade, and the trilogy is concluded with Gone, which just came out yesterday! She was kind enough to take a few moments to answer a few of my questions. 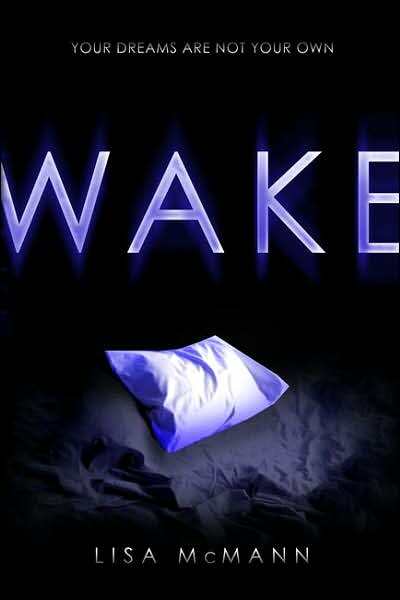 I'm sure most of us have heard the story of how quickly the first draft of Wake was written; were Fade and Gone written as quickly? Heh. No, sadly, they both took longer, about five or six weeks each for the rough draft. I've found my method in that I plan the story in my brain first and maybe jot down a note or two over the course of a month -- not an outline -- and then I set aside about six weeks where my focus is on writing the rough draft. It's a marathon when I'm writing, but I love the feeling of that, really digging deep, immersing myself in it for twelve or fifteen hours a day, and belting it all out almost like it's one sitting. For me, that helps eliminate problems of pacing or inconsistencies of character, because I'm very focused during that time. I recently wrote my next book, Cryer's Cross, in that same fashion -- it'll be out in winter/spring 2011. Once the rough draft is finished, I do one immediate edit, then let it sit for a few months so I can return to it fresh for a few more edits. Since I was born and raised in Michigan, I love how Janie's books are set there. Are you planning on having any other books set in Michigan, or do you think you might try other settings as well? I will probably do another book set in Michigan eventually. In GONE, I take Janie and Cabel on a little side trip to a real town called Fremont, over on the west side of the state. I set that chapter at a tiny log cabin resort where I used to go when I was a kid with my family. Now it's no longer a rental resort, but the cabins are still there, owned individually and privately. I had a lot of fun writing that part of the book because it really brought back memories, so I'll probably do something like that again. But it's funny you should ask this, because I have a few more books I've written that readers will see eventually, and they all take place in M states. Cryer's Cross takes place in Montana, and Dead to You (spring 2012) is mostly in Minnesota and partially in Missouri. I guess Mississippi and Maine will have to happen eventually too! Is there anything you can tell us about some of your upcoming books? Sure! Next up after GONE is a stand-alone paranormal thriller called Cryer's Cross, about a seventeen-year-old girl named Kendall who lives in a tiny farming town in Montana. The story starts just after a girl in the town goes missing...and then someone else disappears too. The question is, who or what is making them disappear? Those who liked the Cabel part of the WAKE trilogy hopefully will not be disappointed with a stranger named Jacián who moves into the area. After that, The Unwanteds (fall 2011) is my very first middle grade book, a dystopian fantasy about a society where at the age of thirteen, children are divided into categories. Those who are strong and/or intelligent are rewarded, and those with creative abilities are unwanted and sent to their deaths. I'm really excited about this one -- I wrote it nearly three years ago for my then 10-year-old daughter, who was at the time a reluctant reader. When I finished it, she sat and read manuscript pages for hours one day and finished the book in two sittings, which really gave me a lot of joy, since she just didn't like to read. She still calls it one of her favorite books. Was it hard to let go of Janie and Cabel as you finished Gone? YES. It was so hard that I didn't do it right the first time. 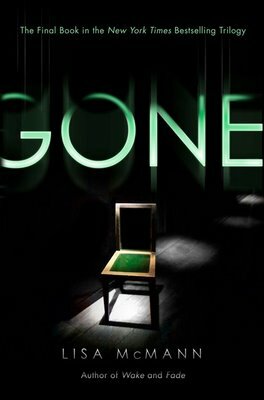 I had to rewrite GONE because I think I held back the first time around. I hope people like it as much as I do. It really sheds some light on Janie and goes deep into her psyche...and Janie and her ability is really what the trilogy is all about. You've got an amazing contest going right now on your website--what inspired it? Yes, it's awesome -- $1000 prize. This is the second contest we've done like this -- last year's was an essay contest. This year, it's a short video blog. I have always been a compassionate person, and as a teen, saving for college was a struggle for me, so I decided that I wanted to help someone else. When I shared that with Simon & Schuster last year, they generously co-sponsored last year's prize with me. This year, S&S wanted to do another contest to celebrate the release of the FADE paperback, and they are covering this prize completely -- I am so proud to be with a publisher who believes in giving back to the teen community. All the details can be found on lisamcmann.com, including details of eligibility (US res, 14-18 yrs old). All you need is some sort of video camera and a way to upload it to youtube or the video hosting site of your choice. Are there any books that you've read recently that you would like to recommend to your readers? A chair, a laptop, complete silence, and a Diet Coke. Thanks, Lisa! Now go get Gone! It's out now! Ohh her stand alone thriller sounds really good. And I am completely in love with Cabel so I know I'll like that book too!!! Awesome interview!!! I can't wait for the last book in this series! I expected them to be too dark for me, but I couldn't put them down! The interview reminds me that I really need to read that book.